Zeeland Historical Society will host an "Antique Critique" day featuring Joan Bunn, Rockford-based antiques expert and certified appraise, from 10 a.m. to 3 p.m., Saturday, May 18, at the restored old New Groningen Schoolhouse, 10537 Paw Paw Drive, Zeeland. Appraisals are $10 each, with a two-item limit. 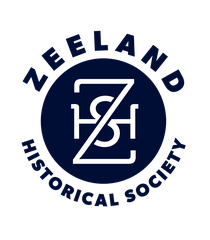 Observers are welcome for a $1 admission charge at Zeeland Historical Society event.